The Estonian Association of Architectural and Consulting Engineering Companies and the Estonian Association of Civil Engineers jointly announced today the winners of the Construction Project of the Year 2018 and Construction Engineer of the Year 2018 competitions. 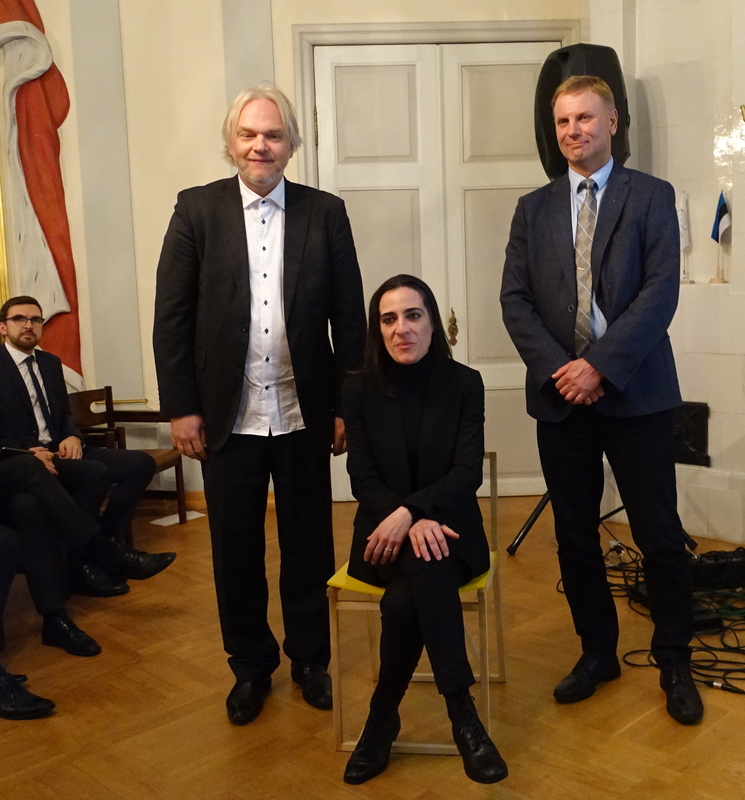 At the award ceremony in the Employers’ House the Arvo Pärt Centre was awarded title of Construction Project of the Year. “The Arvo Pärt Centre was a very special project for us,” Alexandra Sobral from Nieto Sobejano Arquitectos said on accepting the award. “We are very happy with the local partners: Luhse & Tuhal architectural bureau and Ehitustrust OÜ who carried out the construction,” she added. “Designing and planning the Arvo Pärt Centre was marked by excellent cooperation with the Spanish architects. It was no easy task to achieve the end result; it required maximum effort from all of us,” explained Ra Luhse from Luhse & Tuhal architectural bureau. The architects of the Arvo Pärt Centre are Fuensanta Nieto and Enrique Sobejano from the Spanish architecture bureau Nieto Sobejano Arquitectos, and the construction project was completed in cooperation with the architecture bureau Luhse & Tuhal from Estonia. Ehitustrust AS started the construction in March 2017 and the building was completed in October 2018. The architecture of the Arvo Pärt Centre is based on a pattern of pentagonal courtyards, the interior is fluid and perceivable as a single space. The building accommodates a library, a 150-seat chamber hall, an exhibition area, a video hall and classrooms. The concrete building gets its appearance from large glass surfaces, a wooden facade framed with steel pillars, and a galvanized iron roof. The interior finishing is dominated by parquetry and timber details in oak. The area of the building is 2,385 m2.